Tell us about your role and the team/technology you handle at Hootsuite. 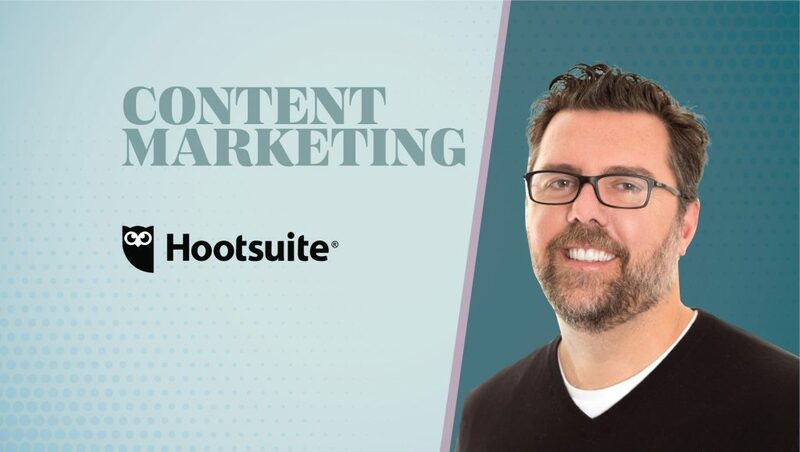 I am the VP of Global Product Marketing at Hootsuite, focused on strategically shaping and bringing Hootsuite’s products to market and ensuring our customers are wildly successful on social. How much has the Content Marketing technology landscape evolved in the last two years? It’s evolved tremendously, the obvious one is the real emergence of AI and ML to influence content generation. A few years ago, creating and posting content was manual, which created a domino effect of inefficiency. Now, not only are marketers able to publish and schedule content automatically (and do it at tremendous scale), the advances in analytics are providing actionable insights in real-time allowing for optimization to target audiences. How does your recent integration with Vestorly benefit Content Marketing teams? This integration is like adding additional members to your marketing team and helping Hootsuite’s customers solve complex brand engagement challenges by automatically curating content at scale based on the number of signals. The data-driven AI integration creates a very intelligent and automated social media content machine, helping our customers increase “intelligent” engagement to grow their brands and customer relationships. Would your AI in content platform enable ABM strategies? How does it enable marketing teams to improvise on their current deliverables? Social plays a significant role in the customer journey. We see people using customer data gleaned from social to inform their ABM strategies. Whereas ABM strategies used to be primarily high touch (direct marketing, etc.) orientated, using social is like strategic osmosis. When you combine that with the benefit of AI to target your market it becomes an obvious tool to address the personalization needed in an ABM strategy. How can Marketing and Sales Technology customers benefit from AI in content? The big catch-all for AI is the ability for us to automate and scale in an intelligent manner. Manually optimizing your content for social is overwhelming due to the sheer size and complexity. AI allows our customers to automate and iterate, delivering content at scale, regardless of the size of their business. AI-driven content generation uses intelligence to determine what works for any given audience. It’s like adding team members, a small team can function as a large team. What does your product roadmap look like for 2019-2020? Hootsuite will continue to leverage AI and ML as it is tremendously valuable to our customers. 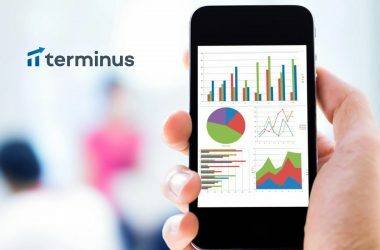 We will also continue to lead the charge on insights and analytics. 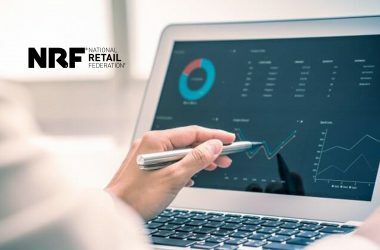 ROI and reporting will always be a priority for our customers and we will deliver those insights to prove performance, ultimately showcasing the value of social media in achieving business objectives. What are your predictions for the maturity of Content Marketing platforms? 2018 was a pivotal year for social media due to the converging forces of trust (or distrust) conflicted by the need for personalization and authenticity. Mass adoption of features such as stories, messaging platforms, and AI learning is transforming the way we use social. We know from our 2019 Social Trends report that people want more personal interactions, “real brand engagement” and on their terms. Social has become a consent-driven channel for brand advertising and brands can take advantage of that through technology. However, to build for formats such as stories intelligently and meaningfully, while also remaining very compliant, technology will have to evolve and deliver. Social media platforms and networks are implementing more regulations in response to concerns around trust, and technologies will, at the very least, have to keep up to remain compliant to those regulations while also delivering what marketers need to deliver on the emerging trends. Where do all the data analytics on content intelligence point at? Data analytics are pointing at the need for a closed loop around content performance by creating actionable insights. Social media has evolved from vanity metrics to real business impact metrics. When our customers share content they need to be able to report back to their organizations on effectiveness. If you have a tool that can automate even a percentage of that, it fuels the next level of performance. Evolving past vanity metrics means being able to quantify the end-to-end customer journey, highlighting the role your content has played along the way. Tell us more about the “Future of Content Marketing” with the current roadmap into Intent Data and person-based targeting. Which technologies would make further inroads into the industry? At our “Future of Social” events we talked about the “Age of the Individual,” and individuals are demanding a more authentic experience between themselves and brands. Brands that are allowing customers to have conversations around their content in a peer-to-peer way vs. being pushed are seeing much better results. Platforms that allow you to get into those more personal conversations, to seed them in a consent driven way will be the future of Content Marketing. There’s some incredible technology coming out around ML, AI, and bot, which, of course, we’re watching and engaging in at Hootsuite. The age of the customer, matched with intelligence and learning technology that can almost outthink us is driving some fantastic innovation. The concept of technologies that are solving real problems, often times before we even know they exist, is fascinating. The companies that are tackling problems from a truly customer-centric standpoint are really impressive. They continue to disrupt the status quo with the customer experience as the ultimate goal. These businesses are the ones I am watching. Jeremy Wood is the Vice President of Product Marketing at Hootsuite where he leads the Core, Solutions, Partner, and Sales Enablement marketing teams. His passion for the industry, coupled with his vast marketing experience, drives his commitment to ensuring the breadth of Hootsuite’s products and features are the right fit for the market. As a key member of the marketing leadership team, he leads the creation of Hootsuite’s overall product messaging, positioning, pricing, and packaging, influencing the overarching marketing strategy of the company. Jeremy’s technical strengths and savvy emerge around data privacy, providing industry leadership on the role of technology in handling and protecting personal data. Jeremy has over 20 years of experience in marketing having held several regional and global leadership roles in Canada, US, and Australia. Prior to his role at Hootsuite, Jeremy was the Senior Director of Product Marketing at Box. Jeremy also ran the Global Marketing organization at Xero, and spent more than 8 years at Google both in APAC and in the US. A natural entrepreneur Jeremy founded and managed Dizzynet Solutions, a full service digital marketing agency for 7 years based in Toronto, Canada. Jeremy has a BA in Communications (Advertising/Marketing) from The University of Canberra, and an Executive MBA from INSEAD. Hootsuite is the leader in social media management, trusted by more than 18 million people and employees at more than 80% of the Fortune 1000. 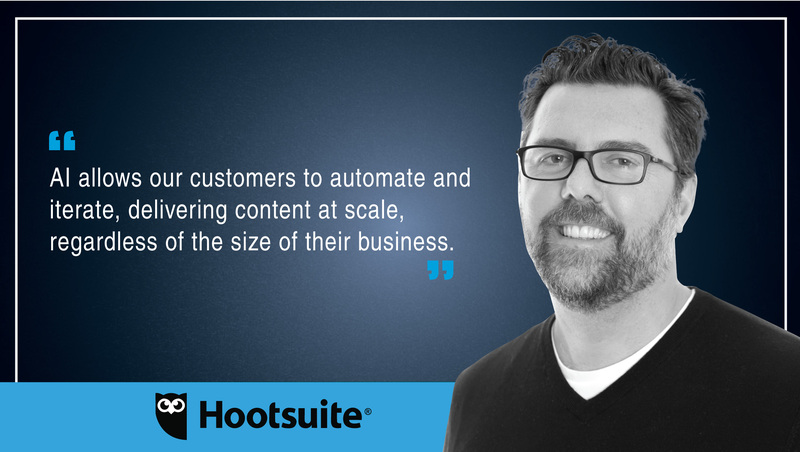 Hootsuite’s unparalleled expertise, customer insights at scale, and collaborative ecosystem empower organizations large and small to strategically grow their brand, business, and customer relationships with social.